Who ever blew his seed, into his awful tether. Father of the gods and all the mortal race. Lord of the world in your sacred trinity. I am thinking that Noumenia is really turning out to be my favorite day of the month, generally speaking. Not only does it give me a perfect reason to honor Apollon, but given its celebratory nature, it also gives me a reason to really cook and enjoy myself in the process. Not to mention provide little treats that we don’t often enjoy. One such treat is ham. Today we cooked a ham, and enjoyed many wonderful treats as Noumenia coincided with the holiday celebrated by the larger portion of my family…Christmas. So they enjoyed feasting for their holiday and I really got a taste of how I would love to pass every Noumenia…with a ham in the oven (for I was recently told that pork was a favored offering for Apollon Noumenios), some sweet treats for little fingers, and wonderful drinks. It all seems quite appropriate for ushering in the new month after all the cleaning and refreshing from the old month. Pork for this reason also seems quite appropriate, an animal associated with fertility and the underworld (and thus reasonably associated with Persephone), it seems ideal for a festival representing the departure of the old month and the birth of the new….something again quite appropriate in celebrating Apollon who is the god of the boundaries as Apollon Noumenios brings in the new month with the first light. Such seems quite evident with similar autumnal offerings to Apollon that involved sacrifices of pigs to him among few other deities. And thus offerings and feasts of pork at the Noumenia in comparison to his other observed traditional rituals during the month and year, seems rather unique. Considering also the expense now-days of ham, it is unlikely to occur more than once a month. But that seems to make it all the more special for a regular Noumenia dinner. I think that we, as modern worshipers, need to really make the most of this monthly ritual, and put our all into it. It is not just the passage of time, but is also a renewal and beginning for all of us, with all the blessings of the gods bestowed upon us and our household. We should make each Noumenia a time of great occassion and celebration to praise the gods of the oikos and to honor Apollon Noumenios. I am determined to make it a significant part of my regular religious life held to higher standards that what I have been. It will become a regular occassion of happiness and sharing of blessings in my home, and something that will enrich the life of my daughter and bring her joy. And so I lift my cup and wish everyone a most happy and joyous Noumenia (rather belatedly though as I have been passing the larger part of the day celebrating rather than typing hehehehe). As I was walking home from work (and it was lightly drizzling but I was thankful to be spared a two and a half mile hike through a downpour) I spent much of the trip thinking of the relationship between Poseidon and Zeus, and their interplay in the cosmos and its relationship to the solstice. Part of this thinking was inspired by a question raised by my friend Aj, who queried how Poseidon was involved in this matter of precipitation when much of it is attributed directly to Zeus. I had initially responded that this was due to a overlap in their domains, and that both Poseidon and Zeus had something directly associated to the coming of rain and snow…an interaction in this point. So my first thought was breaking it down into the domains of the three brothers (who have been called the three Zeuses, which suggests an intimate tie and blending between these three gods and their domains). We know that, according to myth, after overthrowing Kronos the brothers drew lots to see how they would divide the kingdom of their father, which logically enveloped all three of these domains as would have Ouranos whom Kronos had neutered usurped his kingdom as sole hier. The fact that Ouranos, the etheric sea, would have primordially held sway in all three levels we can differ from the fact that Ouranos fertilized Gaia, the first capture of water within the earth, and development of groundwater and the springing of life. Because he could directly embrace the earth we can associate this with the waters and skies that closely touch the earth, and he also presides at the etheric heights even above this. Cosmically this could refer the interaction of ether in three states which includes its development within the solid and liquid states. The liquid state being flexible, transforming, communicative, and intermediary. The solid state being live-giving, solid, transformed by being acted upon, and form as the lowest common state. And the ether being the highest state, transmutable, expansive/big. And this intersects down within the three other levels as ether is within all things. And this is the kingdom of Kronos that the brothers divided among themselves. Poseidon, as keeper of the intermediary domain and the liquid nature is the connection point of communication between the earthly domain of Hades and the etheric domain of Zeus. For our world this domain includes the liquid-vapor sky, and the seas which are not too distinct from each other. This line seems to blur visually when we look at a sea-line in which the sea appears to disappear into the sky and the often almost perfect reflection, especially in the case of the Mediterannean sea. Ancient philosophy speaking on hunting (which philosopher escapes me at the moment) continues this thought by addressing a commonality between fishing and hunting birds, and specifically refers to birds as creatures which swim through the sky. Likewise a speech of Socrates in one of the dialogues of Plato, I think perhaps Phaedo in which he is addressing the immortality of the soul, speaks of how our skies are like the sea of the blessed isles, and our seas are the skies of lower levels (I am paraphrazing here). This appears to be backed up with later Roman imagery which depicted Persephone rising to rejoin the gods in spring riding on the back of a dolphin, and an ancient poem by Aratos, called The Phainomena, describes the constellation of delphus (the dolphin) as one which rises with the spring, swimming from the unknown into the heavens again. Thereby we see also the dolphin associated with transference and the process of transformation, which is quite appropriate in the winter season with is the transition between autumn and spring, and an important one in the fertilization of life which I spoke quite a bit in my previous post. And then seems likely that this season would begin with a month named after the god of the intermediary realm, and the movement of gestation which will bring about new birth. It is from these fertile water raises the new sun, and Dionysos is celebrated all the winter long with numerous festivals which celebrate fertility and life. 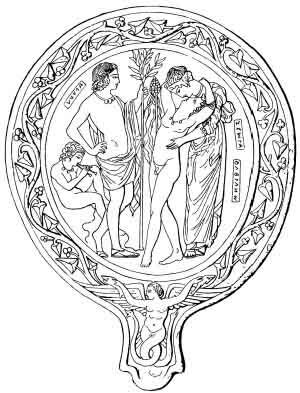 But as the ether resides in all, and is particular a part of the liquid we also recognize an important interplay between Zeus and Poseidon here. Zeus, as it seems to me, is acting through the domain of Poseidon. The rain is a gift of both gods in a sense, receiving its form and nature via the domain of Poseidon, but initiated in the domain of Zeus, the gatherer of clouds. He is arranging and drawing upon the moisture. It is like the preemptive intelligence acting on the substance in order to cause an action. It is initiated in the domain of Zeus and carried out through the domain of Poseidon where it eventually gathers within the domain of Hades to which much ground water could also be attributed as all things within the earth are so attributed. Therefore the movement of the ether acts upon the liquid to cause an effect upon the matter and the matter in turn transforming. All three brothers are really working within a singular cosmic system. That we honor Zeus particularly in the autumn proceeding the rainy season during harvest and sewing we are honoring the preemptive domain, divine intelligence acting upon the fertility of the earth. The intent of growing by sewing, even as we may hope that Zeus is sewing the clouds for winter rain or snow. That we honor Poseidon direct after this during the rainy season seems quite natural, even as we indirectly honor Hades in the spring with Persephone’s return to the company of the gods and the earth flourishes with life fed by the ground waters. And the return of the solstice sun just exemplifies the power of Poseidons’ domain (even as intermediary between that of Zeus and Hades) that new life and rebirth is generated. 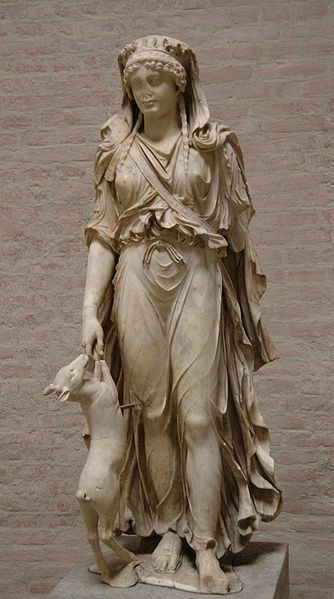 Which seems to be echoed not only by the festival of Dionysos but also by the celebration of Zeus and Hera during the Theogamia which yearly honors their nuptials which speaks indirectly of generation. So, once more. I wish everyone has had a beautiful Poseideia!